A hair transplant can takes hours to perform, occasionally performed over two consecutive days. This can be dependent on the technique and the number of grafts used. It is a team effort with the Doctor managing the procedure, performing specific medical tasks and overseeing the entire operation. 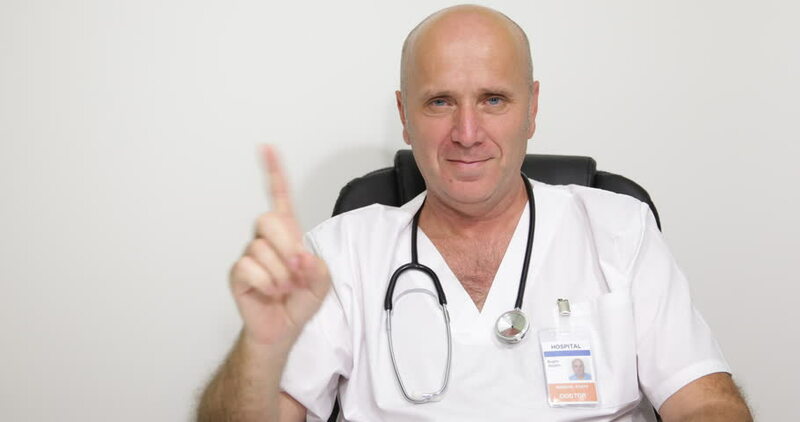 It only requires one Doctor to perform one hair transplant. The technicians play an important role in preparing the hair follicles and placing the hairs into the new areas. Why is the Doctor Consultation Important? Your consultation is the time before your hair transplant to cover medical and personal information. It is a time the Doctor will ask general medical information as well as goals and expectations regarding your hair transplant. At what age did you begin to lose your hair? Each hair transplant technique has different technical demands. This first starts with mapping out the safe donor zone and then extracting the hair. The basic principle is to only remove from a safe area and not to over harvest or be aggressive to the detriment of the hair and skin characteristics. FUT – Follicular Unit Transplant – the size of the donor area is measured out depending on many factors. These include the skin laxity, hair density, hair miniaturisation and ultimately how many hair follicles are required. The Doctor requires surgical skills to excise the hair-bearing strip and make a neat closure. Understanding anatomy and skin characteristics is a vital aspect of the FUE procedure. FUE – Follicular Unit Extraction – the Doctor needs to predict the donor safe zone and measure the hair follicle density within this area. Then map out the area to determine how many hair follicles can be removed. This ensures the removal is spread to avoid over-harvesting any particular area. FUE is a blind extraction so an understanding of anatomy will minimise damage to the hair and skin. A large concern is hair transection. A carefully dissected graft, trimmed of excess tissue makes for the best hair transplant result. Minimises any damage to the hair follicle and the skin. Makes the job of inserting into the tiny opening made and placed at an angle almost flush with the skin. A demanding role for the Technicians that requires dedication, patience and skill. With a great deal of hand-eye coordination. All performed under high magnification to avoid any damage to the hair follicles. The slit making in the recipient area should be the domain of the doctor and no one else. The need to be in close proximity to each other. The angle and direction of the slit are dependent on the site position in the recipient area. Both the length and the depth of the slit are important for the hair transplant. The microcirculation is just beneath the hair follicle. If the incision is too deep this can be damaged. It is essential to minimise trauma to the surrounding tissue. Also, the slit making if too aggressive or there is an incorrect use of the blade damage can occur to the surface of the scalp. Creating a ridge or cobble stoning over the scalp, an unnatural ripple can be left through poor slit making. When the grafts are placed the angles can be so acute that the base of one follicle lies under the shaft of the next. This close proximity of placement must also be undertaken. Using magnification to ensure correct direct, depth and graft care. Not to place the graft too deep or crush the bulb with the forceps whilst handling. The trimmed grafts have very little volume, other than the functional follicle. Working together, Doctor and Technician it is possible to refine the result. With precise placement, it is now possible to create a higher density of hair than in previous years, and this will give a much more pleasing result for the patient. This is an area that can make or break a hair transplant result and the doctor is careful to assure that the grafts will grow out in a natural direction, angle, orientation and pattern. In addition, attention is taken to avoid damage to sur- rounding hair, but at the same time place a density when grown out will look natural and blend with the surrounding hair. Over recent years the roles of who does what in performing a hair transplant have been blurred. A hair transplant is a surgical procedure, minor, but still a surgical procedure. Whilst risks to your health are low there are other risks that will require a high level of medical expertise to recognise and deal with. To keep costs down and increase the number of hair transplants that can be performed in a day a more “production-line” approach has been adopted by some. Often called “hair mills” for the factory style ethic of mass production. But, in this case it´s a hair transplant. The approach is less bespoke and much more one size fits all package deal appraoch. The Doctor needs to be able to perform all the major tasks during a hair transplant. This must also include being available to watch over, check and be available for their patient. Without compromise to the care, attention and quality each deserves. With an experienced and expert Technician team, this is possible.